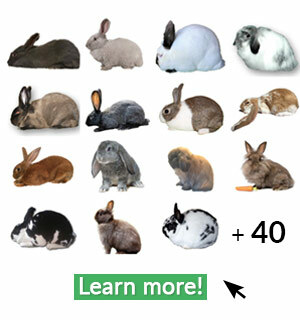 Learn more about American Rabbits! The original blue American rabbits were initially known as the “German Blue Vienna”, later renamed as the “American Blue”, after World War 1. They were developed, in Pasadena, CA, by Lewis H Salisbury in 1917 and then recognized as a new breed of domesticated rabbit by the ARBA in 1918. 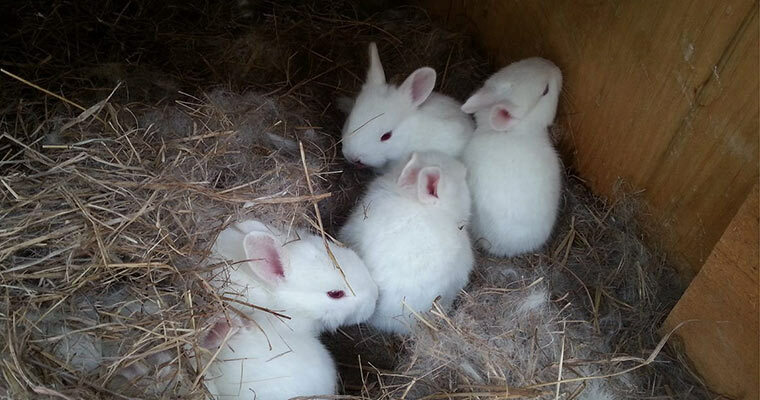 The white variety of the American rabbit gained recognition, in 1925, by the ARBA. This breed is noted as a commercial or 6-class breed of rabbit, due to their size and body style. Additionally, American’s are known to have very sweet temperaments and are quite docile. 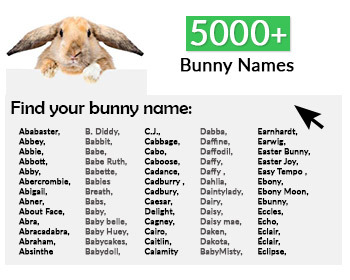 What is an American Rabbit ? An American is a large breed of rabbit with a semi-arched type body. Unfortunately they have been added to the status of a “Rare Breed”; therefore they are considered as being in danger of extinction. They are a very hardy breed. They were created for the purpose of fur and meat production originally, but would make great pets because of their gentle nature. Additionally, the American doe’s are also known for having excellent mothering skills. This breed only comes in two colors, blue and white. The blue of this breed is considered as being the deepest, darkest fur of all blue rabbits. How do I care for an American Rabbit? 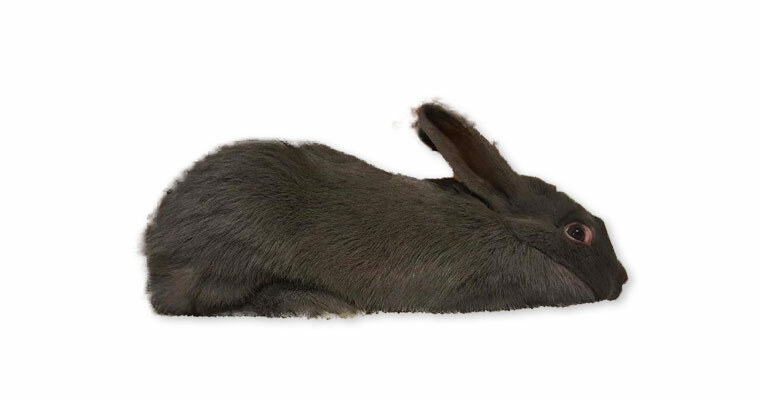 Americans, or sometimes called American Standard rabbits, are one of the easier breeds to own and care for. They require the average amount of grooming, as with any rabbits, but nothing above the ordinary. Because of their large size, they do require large housing to ensure that they can move around freely and get the exercise needed to remain healthy. They also will require more feed than the small breeds of bunnies, on average of no less than 1-2 cups of high quality pellets every day, in addition to a routine of fresh, rabbit-safe veggies and fruits. Otherwise, the more attention they get, the happier they will be. Well cared for American’s have an average life span of 5-7 years. Is my American Rabbit show quality? Show quality American Standard rabbits are large, will a mandolin shaped body in which is displayed from the back of the shoulder, smoothly rising and rounding off over the hips then continues a smooth transition down to the base of the tail. Their head and ears should be in proportion to their body, although the ears are a bit narrow and taper off to a pointed tip. They should be well covered with dense but soft, with a silky texture and present with a firm, solid, muscular body which is well balanced from end to end and width-wise also. EARS: Erect, pointed tips, and length proportionate to body size. WEIGHT: 9-12lbs for seniors, intermediates not over 10lbs for bucks or 11lbs for does, and juniors must be under 9lbs. 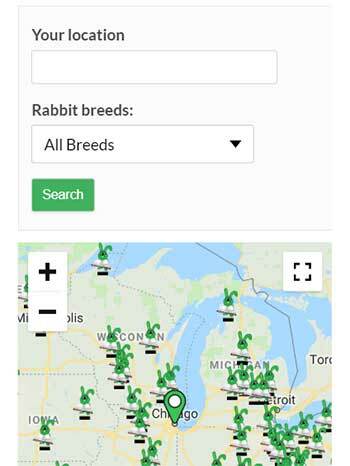 The American rabbit is not recognized by the BRC. Those interested in the breed are encouraged to see the ARBA standards for this breed as a general guideline.